Whether you are just starting out as a brand new podcaster or you’ve been in the game for a while, it is always a good idea to stop, reassess, and see what you can do to become a better podcaster. Often times we overlook the little things and ignore our weaknesses instead of trying to find ways to improve upon them. Being a great podcaster calls for more than just simply hooking up a microphone and pressing the record button. You have to consider your speaking style, master the art of being a good host, and always be putting yourself in new situations to challenge your skills and help you to keep learning continuously. Keep in mind, simply getting started and launching your very own podcast is already an incredible feat on its own! That is why you should be proud of what you’ve put out into the world and invest in becoming a great podcaster for your audience. These 9 easy steps will help you to up your speaking game, cut-out the excess fluff, and truly find out how to have fun with it! As individuals, we all have our own unique style of speaking. Some of us have a really upbeat tone, others a little more on the low-down. And others have yet to discover their true voice. The best place to start is by making a list of your natural speaking qualities. Bring those strengths into your speaking style and use them to your advantage. So often speakers have a tendency to think they should be a certain way. But the way to be the most successful at your own show is to be yourself. Resist the temptation to try to sound a certain way and just stick to being the person your close friends know you to be. Everyone is unique with their own quirky behaviors. Allow the quirky parts of your personality to integrate into your speaking style. Those personality quirks will eventually turn into distinguished marks of authenticity for your show. Of course, there is always space to improve your communication skills and really make sure that you are getting your message across to your audience. But if your core speaking style is consistent, it will be a strong foundation to launch your podcast and speaking skills to a new level. Related post: The Secret Ingredient to Public Speaking for Your Podcast. 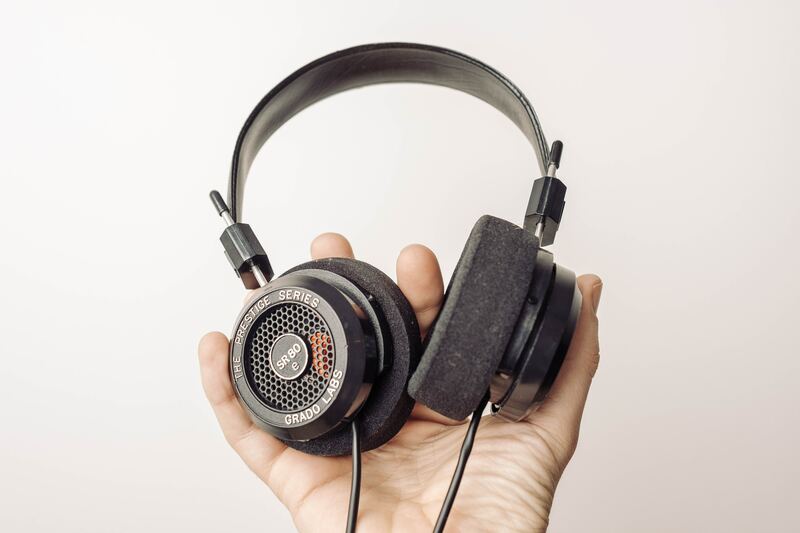 When you think about your favorite podcasts, you love tuning in to them because the information is easy to listen to and delivered in a relaxed, conversational tone. Your listeners aren’t interested in listening to you read off of an outline; they’re there for the conversation, to hear you talk through the topic in your own words, sharing your own experience. Just be human, foster a genuine connection with your audience and speak from the heart. The key is to move away from the robot-speak, and really embrace your natural personality. Whether you are an introvert or an extrovert, let your style be based on your natural rhythms. If you are an introvert, let yourself speak slowly and deliberately and thoughtfully and don’t try to manufacture enthusiasm that does not feel natural for you. On the other hand, as an extrovert, you are more likely to be dynamic and outwardly focused. So don’t try to squash your natural energies or be too controlled. Let yourself be large and dramatic! So minimize that robot-talk, and just be you! Related post: Learn How to Improve Your Communication Skills. The whole reason you bring guests on your show is to allow your audience to tap into the knowledge that they bring. Listeners enjoy hearing smart, in-the-know people discuss thought-provoking topics and ideas that are important to them. However, often times it can be hard for hosts to let go of the microphone. Afterall, it is your show and your audience. But there’s no way for your guest to shine and impart their wisdom to your audience if you don’t step aside for a second and give them the opportunity! So know yourself, learn to let go just a bit to really give your audience the benefit they deserve. To make it easier to stay on track and not steal your guests’ thunder, make a brief outline for the interview to help guide your guest and your audience along the conversation. Stay away from questions that demand only “yes” or “no” answers that stop the conversation in its tracks. Instead, drive the momentum forward with explorative questions that require more thought and explanation. Most importantly, let your guest reply fully to the questions you ask without cutting them off! Especially not to talk about yourself. Give them their time to shine, and let the knowledge of the conversation flow. Related post: How to Setup a Guest Interview for Your Podcast. At the heart of it, your podcast is a show! So it is only natural to come to the conclusion that you are the showperson in charge of running that show. As we discussed in point 1 and 2 above, you have to develop your own style and work with the strengths and qualities that you already possess. If you are feeling somewhat lost on where to start, pick a few of your favorite podcast hosts and outline exactly what it is about their showmanship that you like and then apply that to your own show. Now, remember, don’t be a copycat! There’s no point creating something that is exactly the same as someone else, and not at all like YOU! Soak up all the inspiration you can, but then adapt and tweak it to work for your show and your specific audience. The aim of the game is to educate and entertain! Find your flow, understand how you best perform and put on the show that draws your audience in time and time again. To make sure that you are always learning and adapting to your audience as they grow, challenge yourself by searching out new communication opportunities. Whether that is speaking in at a small meetup or stepping up onto a conference stage, there is always space to grow as a speaker and podcaster. Getting out and speaking in front of others is a sure way of developing and fine-tuning those skills even more. Being face-to-face with an audience allows you to gain a new perspective, really drawing from the immediate reactions of the crowd, no matter how big or small it is. This type of feedback is priceless and can really help illuminate areas of your speaking that needs improvement, and also point out where you are really nailing it. If speaking engagements are not enough, try something completely out of the box like reciting a poem or some type of monologue. Do this in front of a mirror or even go as far as taking an acting class to really get the feel of things. Really challenge yourself and you just might be surprised at the results you will see! Related post: 5 Rewarding Challenges for Podcasters. The first step in upping your podcast game is to really understand why you are in this in the first place. To create a truly successful show, you have to be endlessly curious about the topic you are discussing and the people you are building up in your audience. Audio can create a powerful, emotional experience when it’s done well. It is your job to be the researchers, the storyteller, and the consistent cheerleader for your topic! You are the journalist for your show. It is up to you to do the investigating and get down to the heart of each topic. So it is time to do a self-check; are you open-hearted enough? Are you looking for the next discovery, the next revelation, or breakthrough? Don’t create another average podcast. Go above and beyond, follow your curiosity, and find that juicy, interesting content that your audience is craving! We often hear from all the podcast experts that we should “minimize the fluff”. This seems simple enough. But what exactly is this “fluff”? The fluff is really just all the extra stuff that people talk about that has nothing to do with the topic of the episode, and that won’t be useful or valuable to your audience. What classifies as fluff will be different for every podcaster and their audience, and it’s up to you to suss it out! Again, the key is to think about it from your listeners point of view. What, from their perspective, is truly important for the content of your show? For your audience, they want to listen to what is going to help them. So to keep them listening you have to get to the main points of the content as quickly as possible. Of course, what ties it all together are the personal anecdotes. These little stories are what people remember most and they help your audience to connect with you as the podcast host. The key is to find that delicate balance between the meat and potatoes of your show and the personal touch that makes the content irresistibly unique. Trying to determine if your show is a hit or not can sometimes be a bit of a mystery. More often than not, listeners are not going to tell you that you are an awful podcast host; they will simply stop downloading your episodes. The reality is that, aside from the terrible internet trolls out there, most people actually want you to succeed. So to prevent those helpful listeners from simply leaving, catch them early on by actually asking them for their feedback! This can be crucial for your podcast success, especially in the very early stages. If you can iron out those kinks right off the bat, you are much more likely to see your show succeed. Working off of the feedback from real listeners can help you reshape the show, remove what doesn’t work, and focus on what your audience truly wants to hear from you. Take a step back and draw on your audience for their unique perspective as a listener. Start out by asking them specific questions about your show at the end of each podcast episode and on your social media accounts. You can also use the option of sending out a short survey to your email list asking them to give you feedback on different aspects of your podcast, what they’d change, or what they feel is missing. This survey can cover everything from the podcast itself, to your website, content, show notes, social media posts, etc. And remember, your audience is much more likely to submit their answers or respond with feedback if there is some type of incentive involved. The incentive can be an entrance into a giveaway or a discount code for one of your courses or ebooks. Be creative, and get the conversation going! Last but not least, to be a better podcaster you have to be able to enjoy yourself! Your audience can always tell whether or not you are actually having fun or if you are struggling to simply get through it. Podcasting should be like second nature to you, especially if it’s a topic that you are absolutely passionate about! And what’s better, you get to share that message with others who are interested in hearing about it. There has never been a better time to get into the podcasting game, and the more you have fun with it the more your listeners will pick up on that fun and start enjoying the process more too! It is always more interesting to listen to someone who is actually enjoying themselves. There is just something about that that draws people in, igniting their fire for the topic and catching on to that contagious passion. If you ever lose this fun, get back to the root of why you started in the first place. Think of the possibilities and the opportunities that podcasting can open up for you. Get back to that place, constantly reminding yourself why you are in it for the long run!